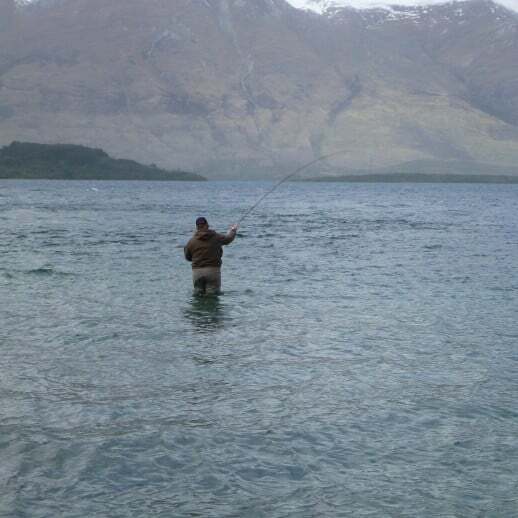 Fly fishing New Zealand Southern Lakes with a week to go is a good warm up session for the New Zealand season opening in a weeks time. 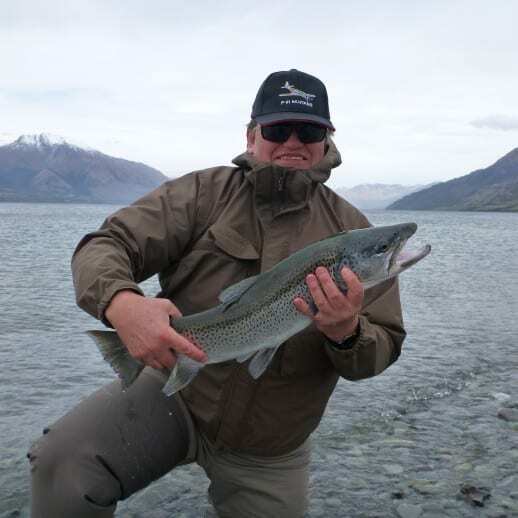 We drove up to where one of New Zealand premier fly fishing rivers joins Lake Wakatipu and hit the mouth of the Greenstone river. 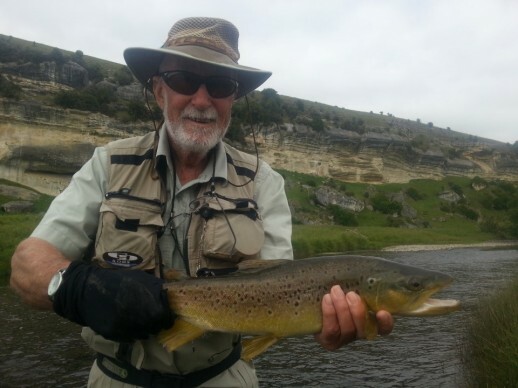 A morning spent getting casting up to speed was well worth it as the afternoon presented a few fish with the best being a 7.5 lbs brown caught on a Airflo Di 5 Sixth Sense line with a small bugger. 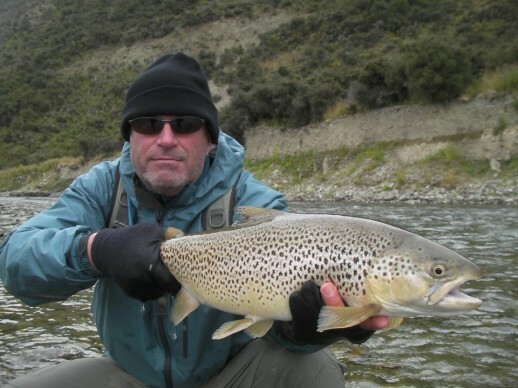 Depth was required on the side of the rip as the upper water columns was not providing much sport and a count of 45 seconds was dropping the line to around 20 feet before using a slow retrieve……due to the depth and the size of the fish a good typical brown trout battle ensued and after about 8 mins we were able to beach this beautiful New Zealand brown trout. 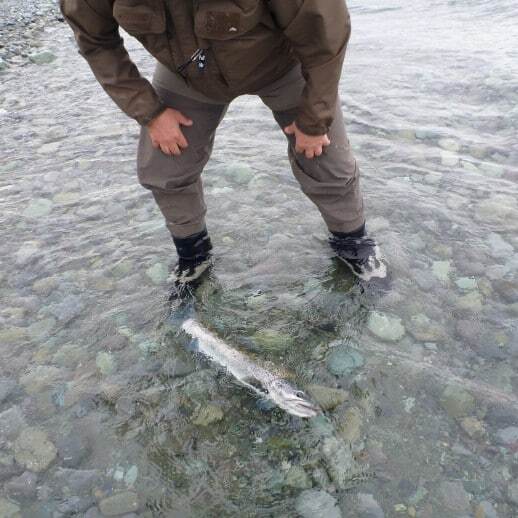 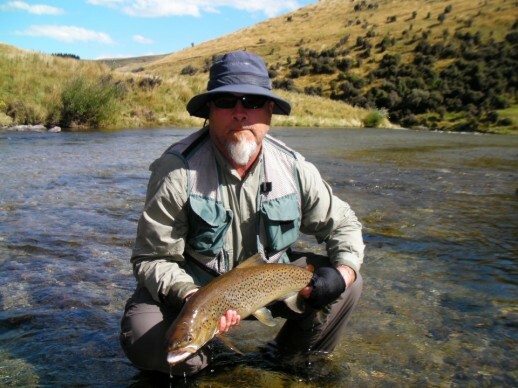 It was released and swam away happily back into the depths to give another angler and opportunity to catch a fine trout while fly fishing New Zealand. 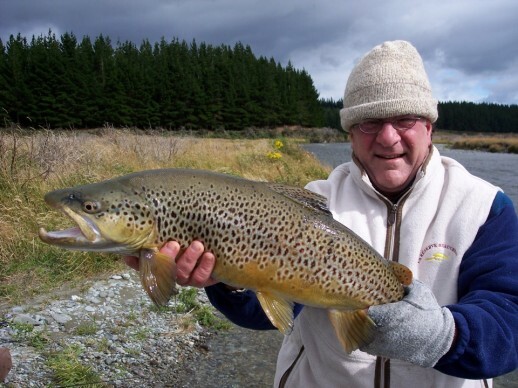 If you want to really give your self the best chance to catch fish like fly fishing New Zealand be sure to get some practice in…..get that casting sorted, practice, practice, practice …. 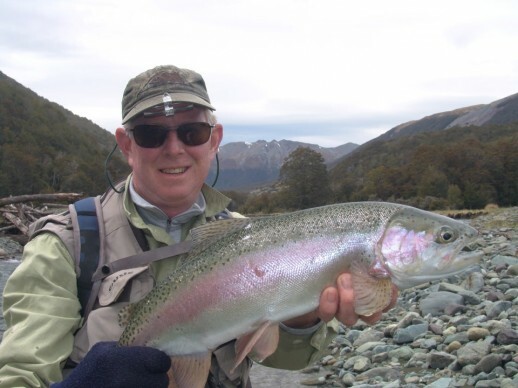 it does pay off when it comes time for your big trip or even just your one or two weekends away, your rod will be bent more often and you will become one of the 10% who catch 90% of the fish. 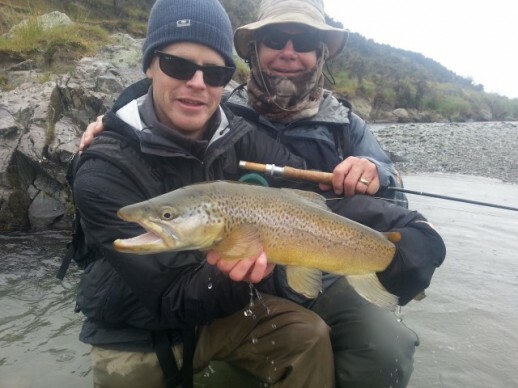 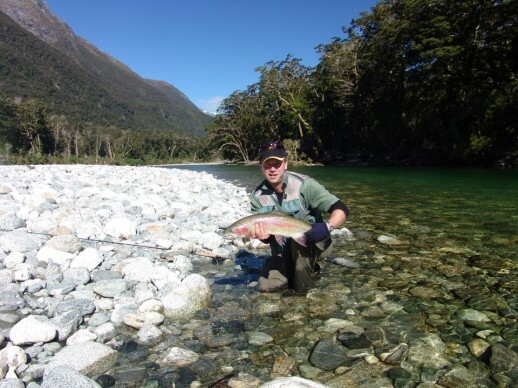 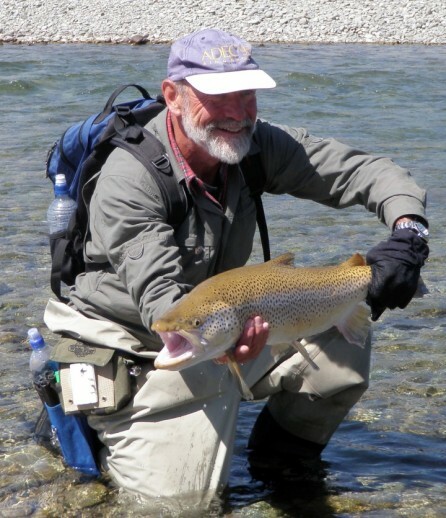 Book your Fly Fishing New Zealand Expedition now and get in on some of this great action.